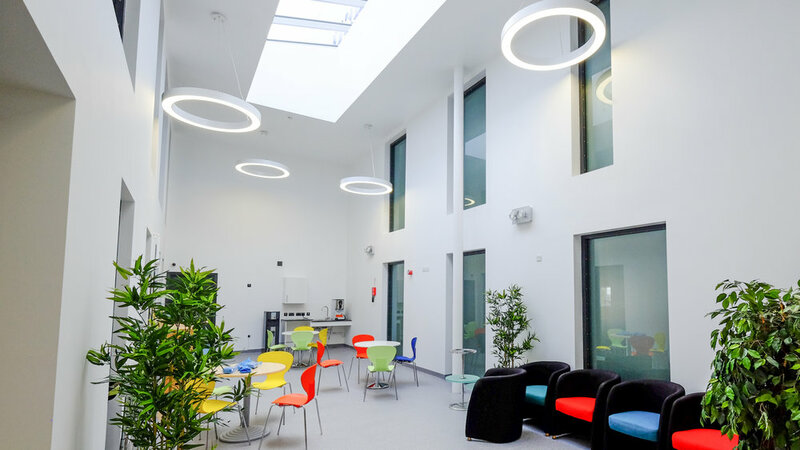 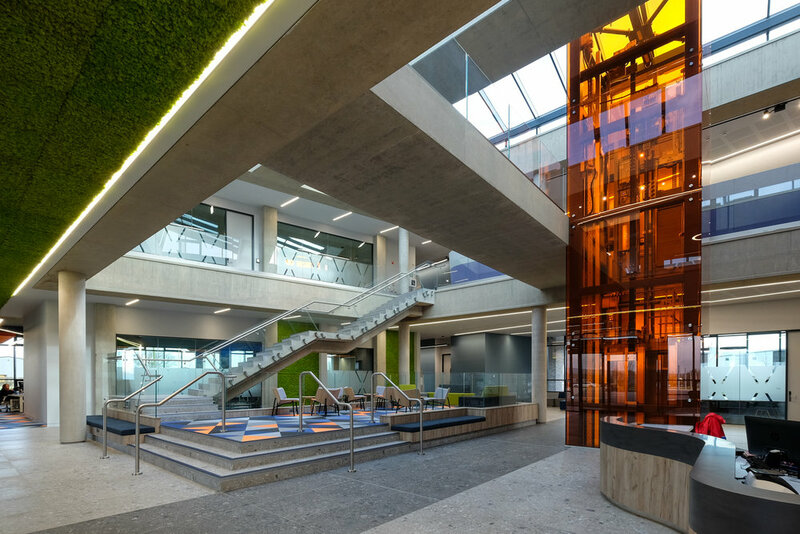 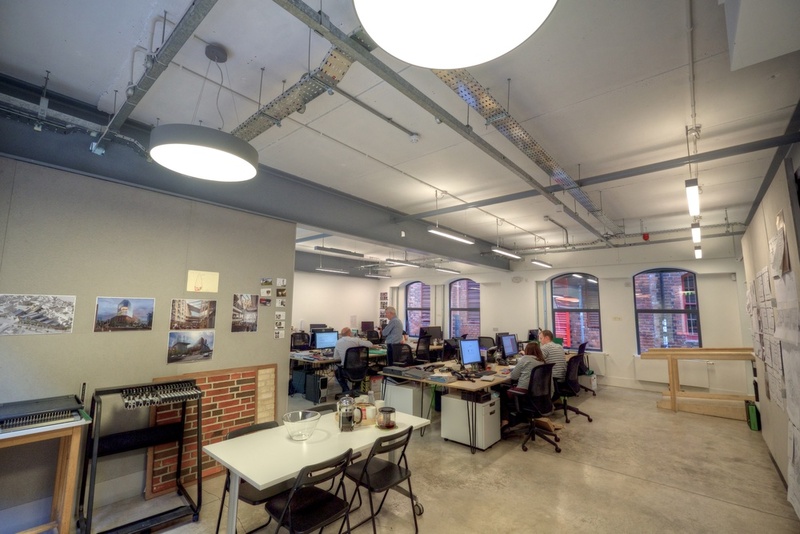 From high spec city centre offices to huge industrial sheds and everything in between, we've been able to provide useful advice, design input, on site survey/planning and control commissioning. 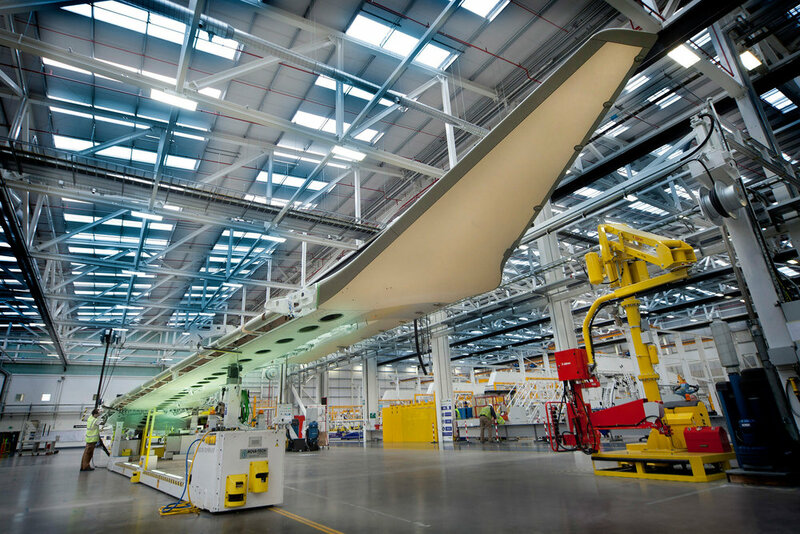 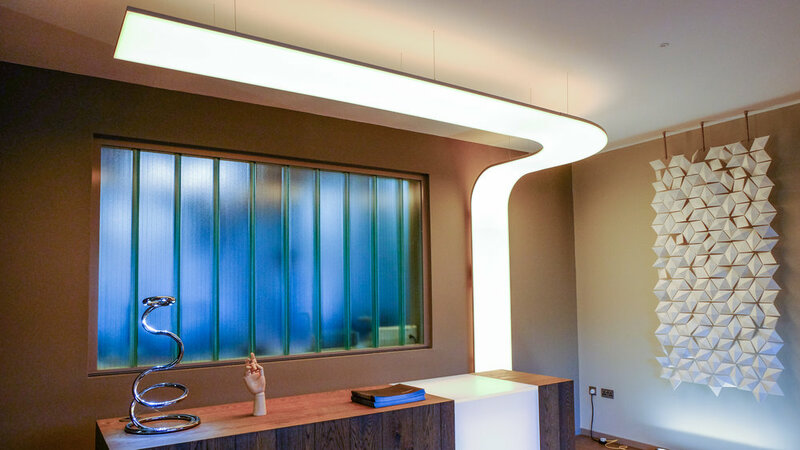 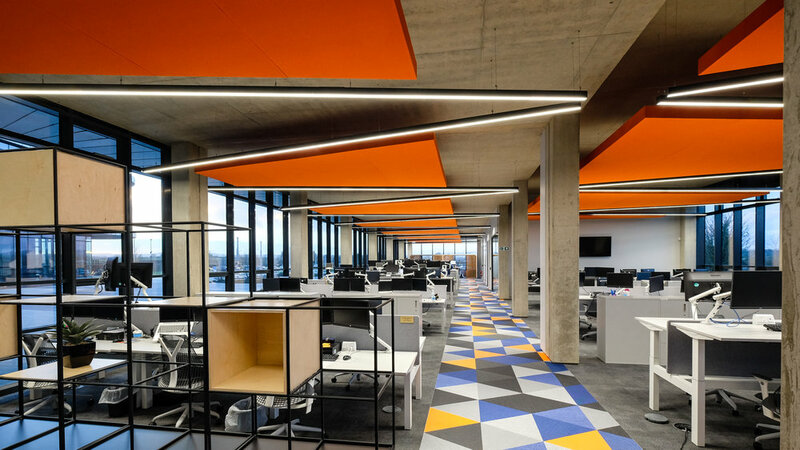 In the last few years, the commercial sector has been targeted by opportunistic LED suppliers; for straight-talking, honest advice, please don't hesitate to contact us. 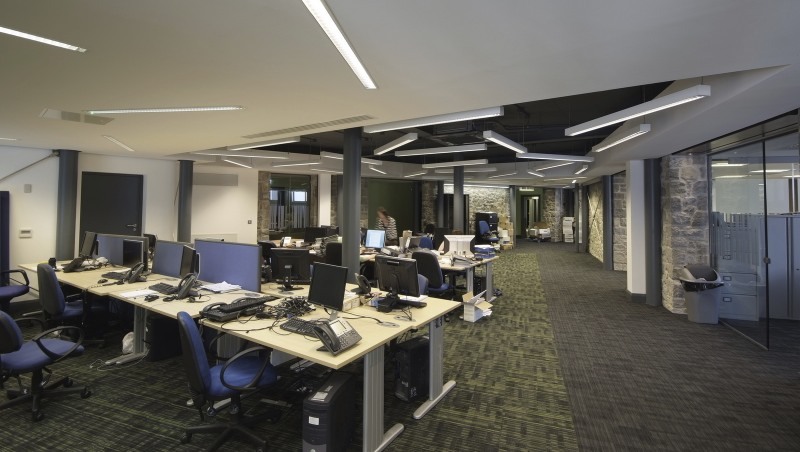 From high spec city centre offices to huge industrial sheds and everything in between, we've been able to provide useful advice, design input, on site survey/planning and control commissioning. 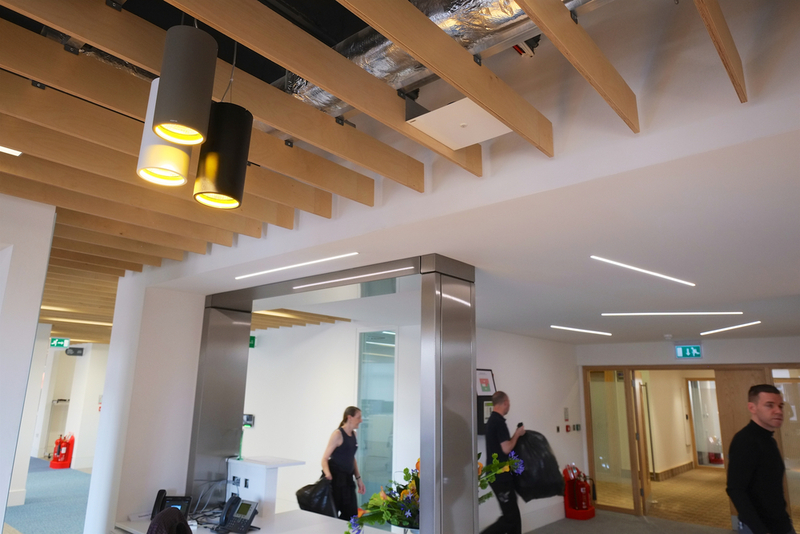 In the last few years the commercial sector has been targeted by opportunistic LED suppliers touting dubious equipment, delivering poor lighting with questionable operating life. 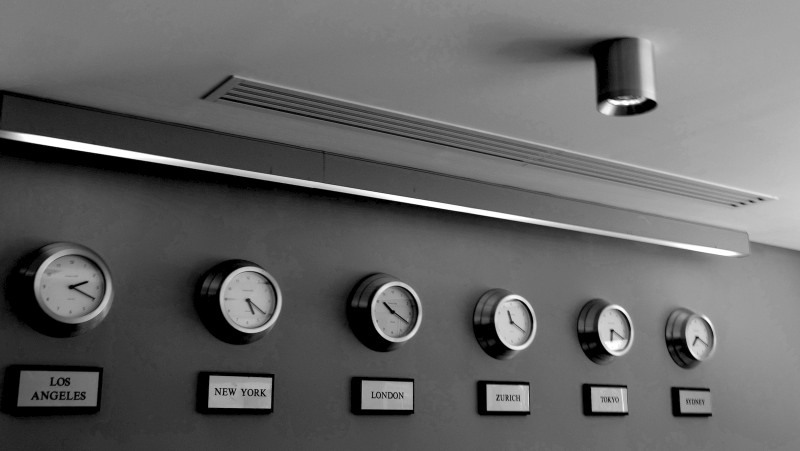 When evaluating products intended to operate for 10-20 years, you get what you pay for. 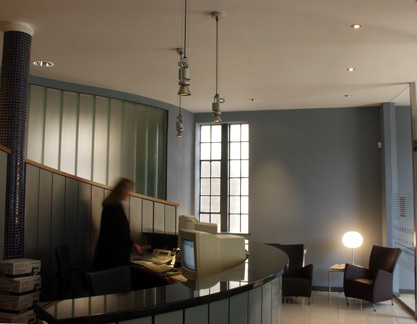 For straight-talking, honest advice, please don't hesitate to contact us. 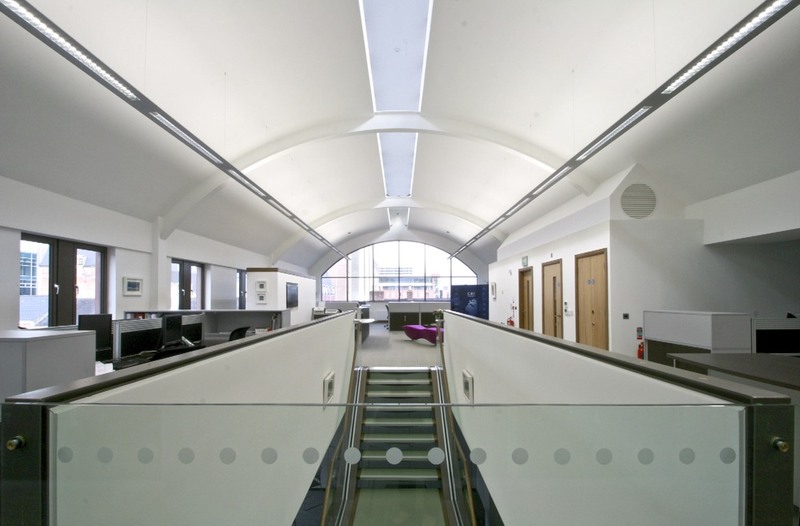 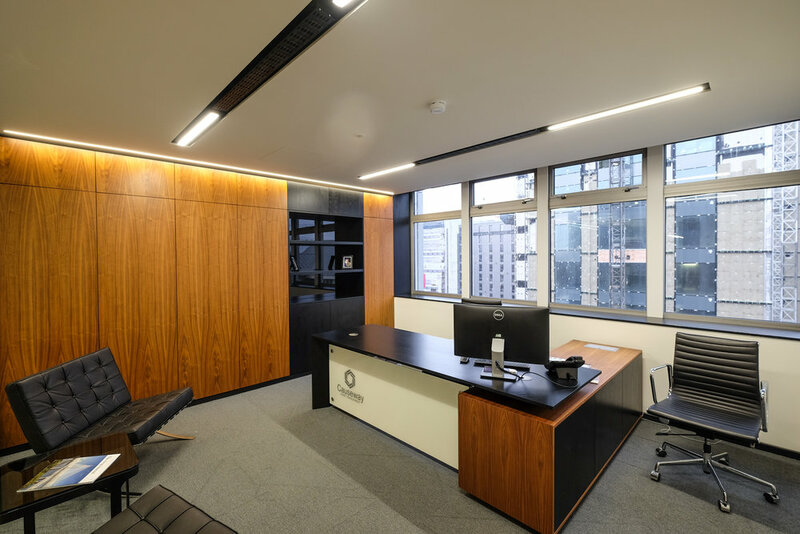 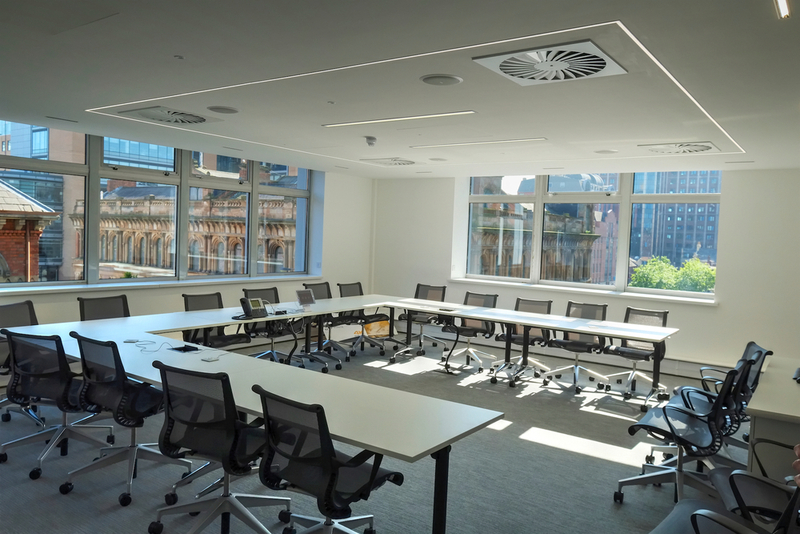 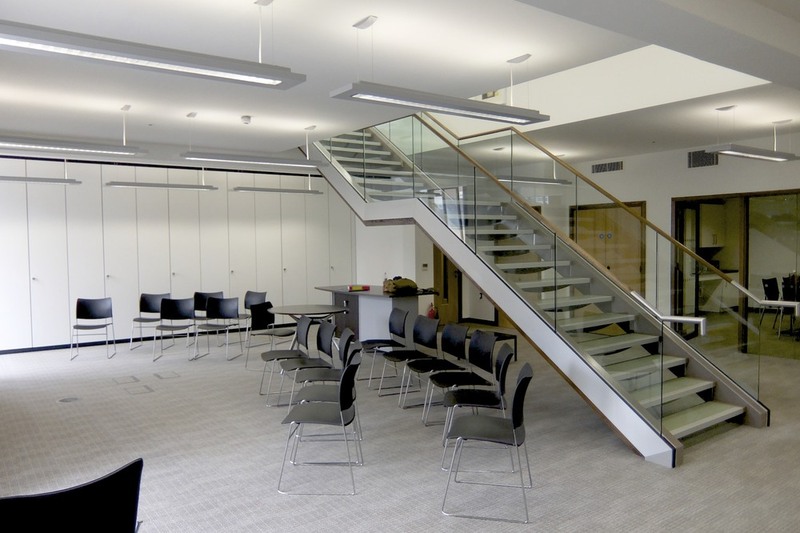 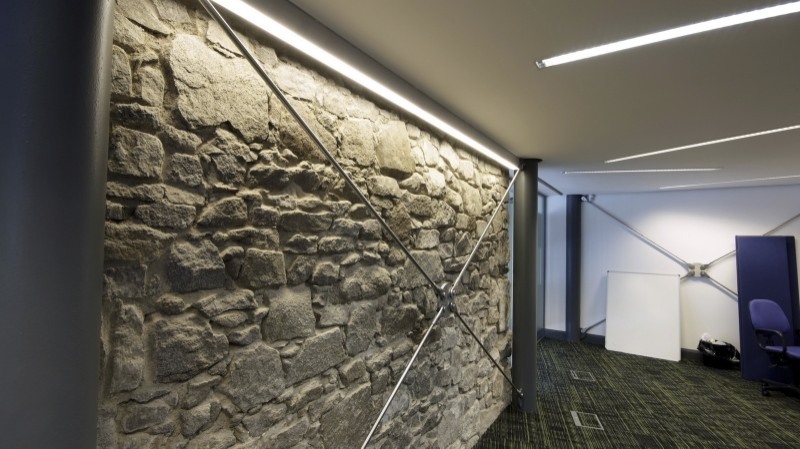 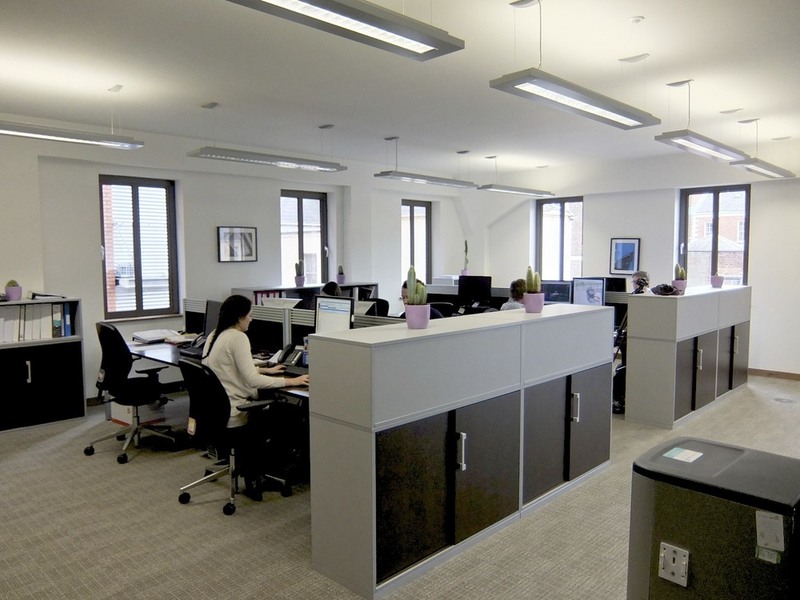 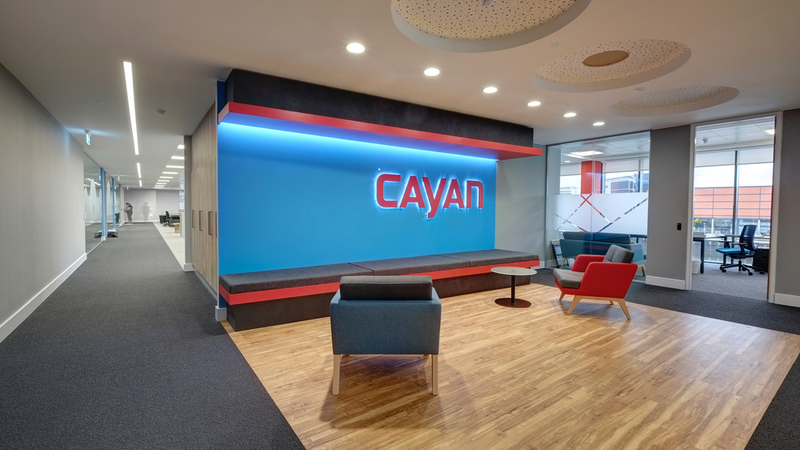 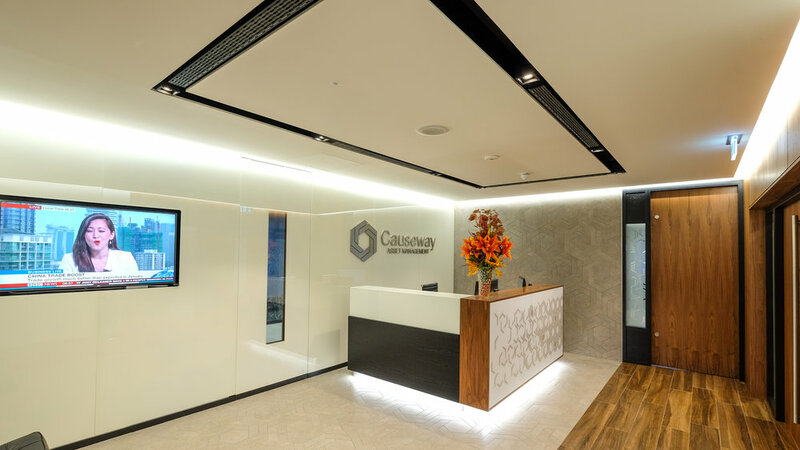 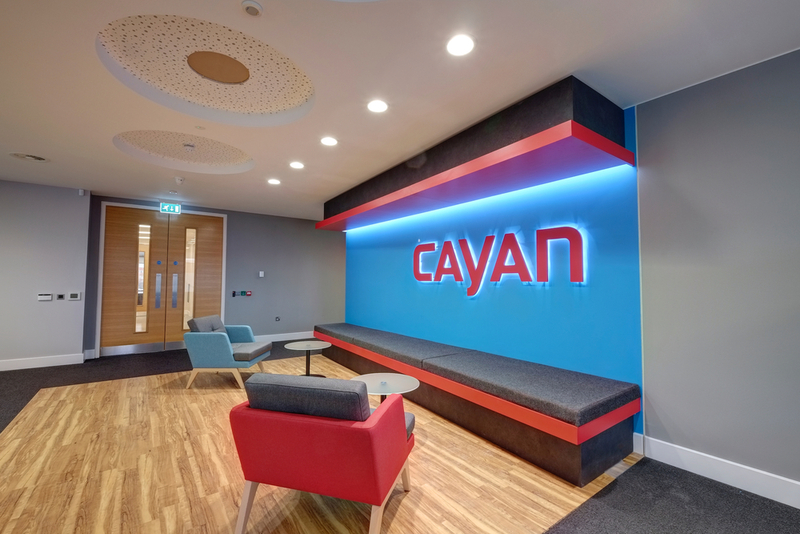 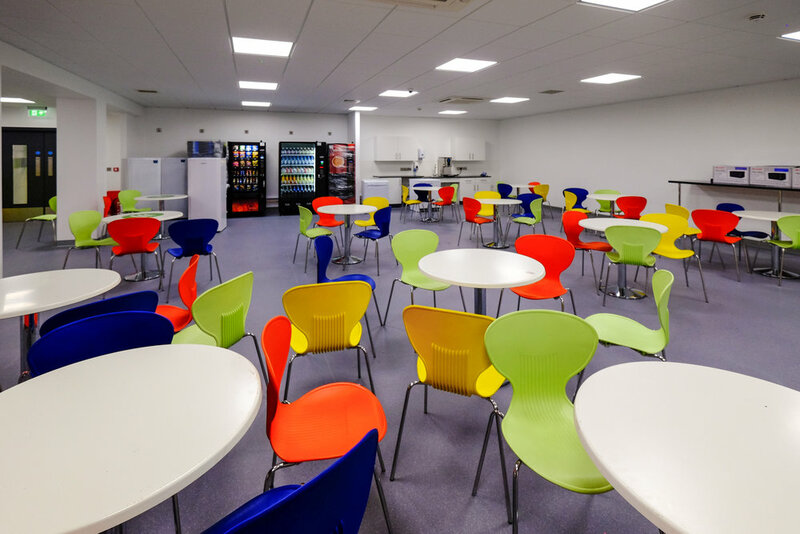 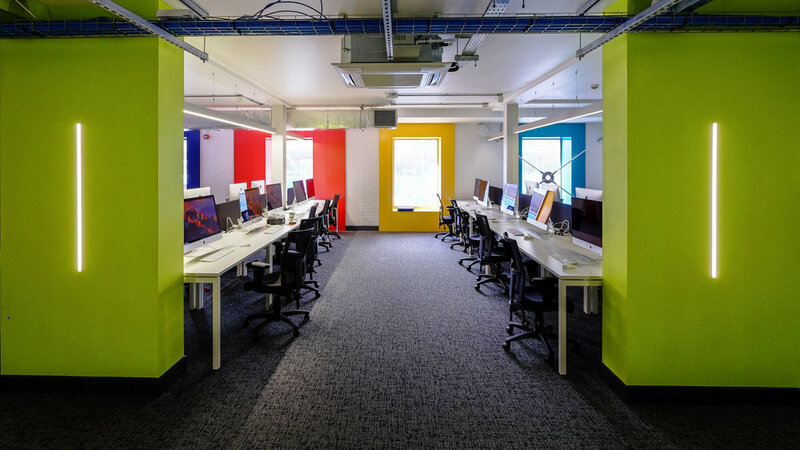 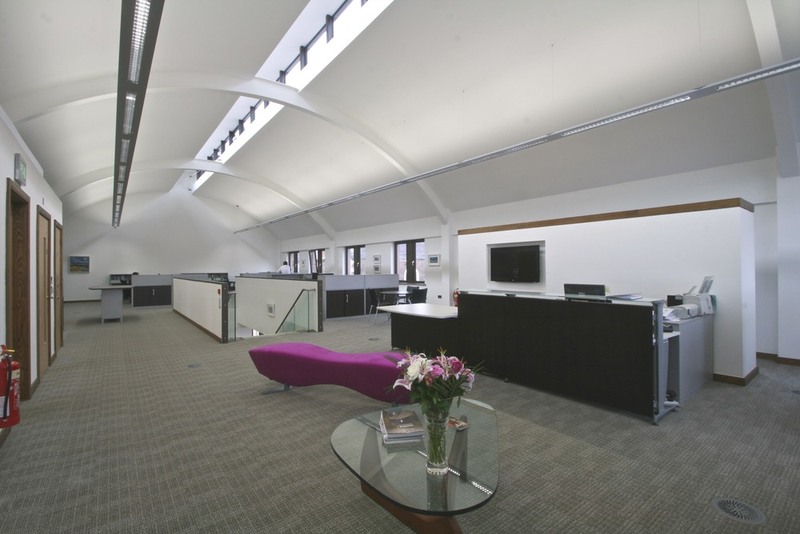 Causeway Asset Management wanted offices that reflected their professionalism and attention to detail. 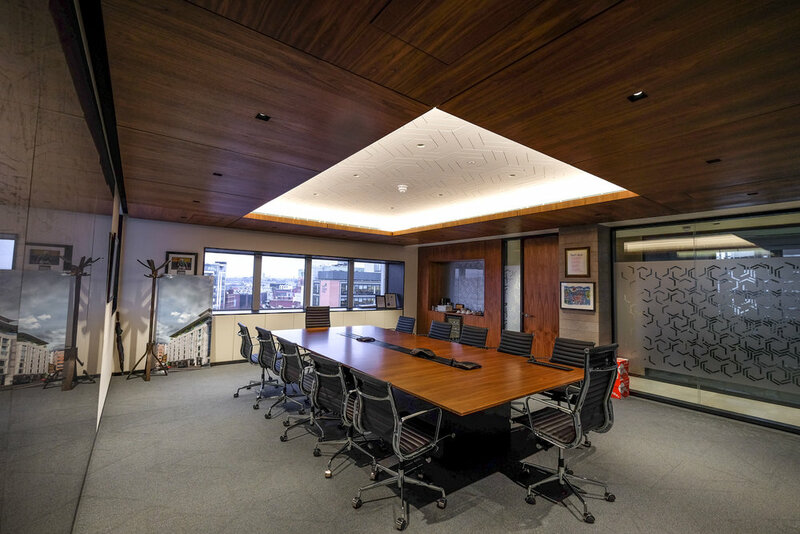 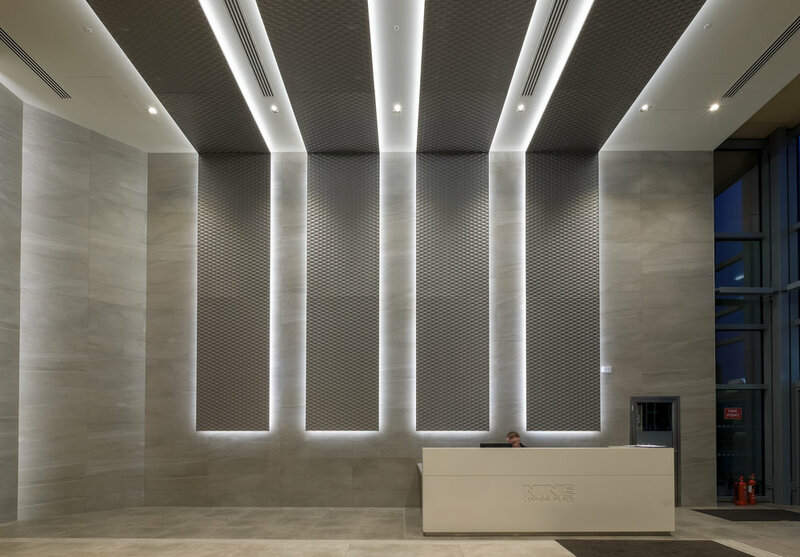 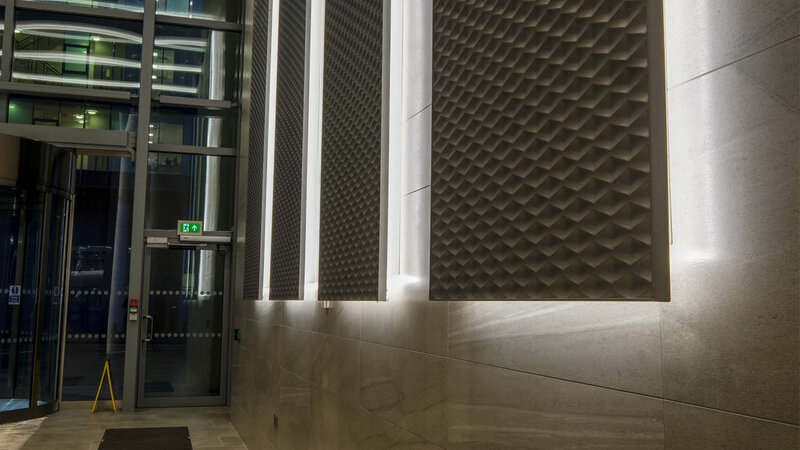 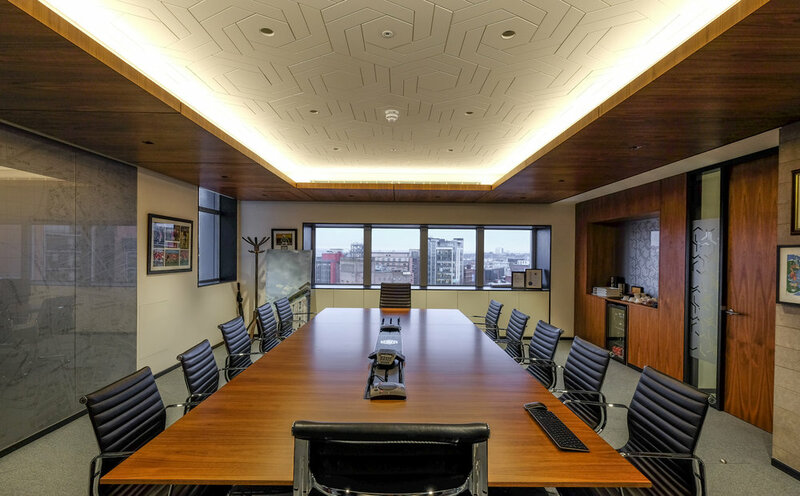 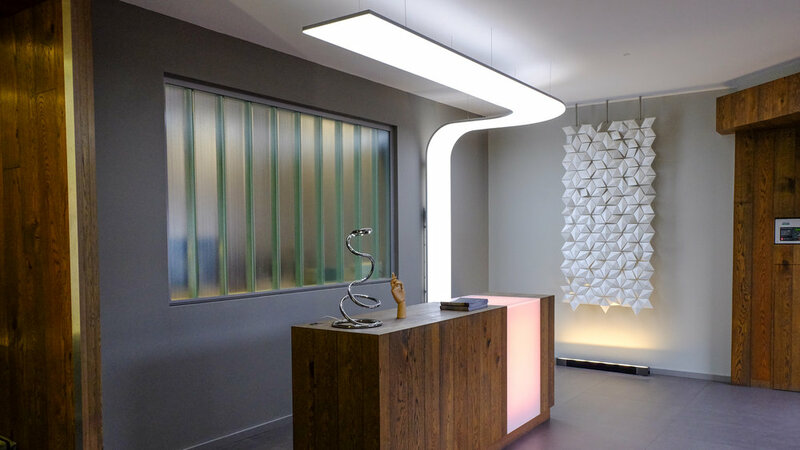 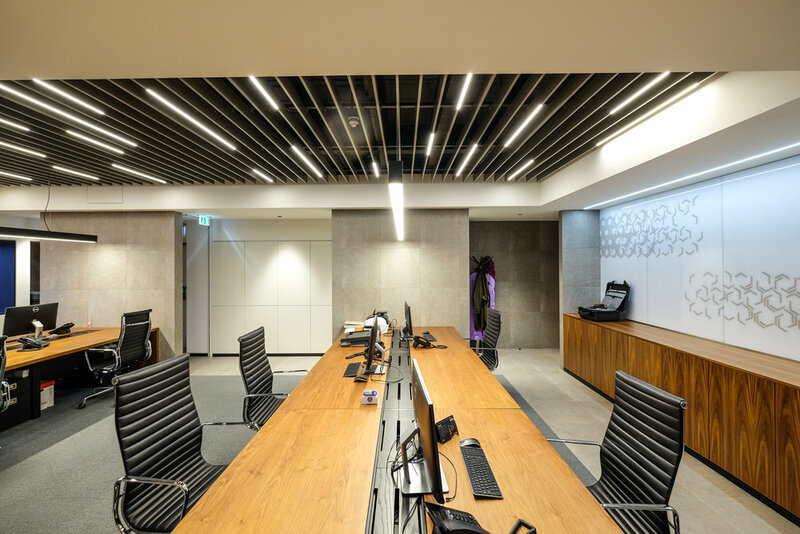 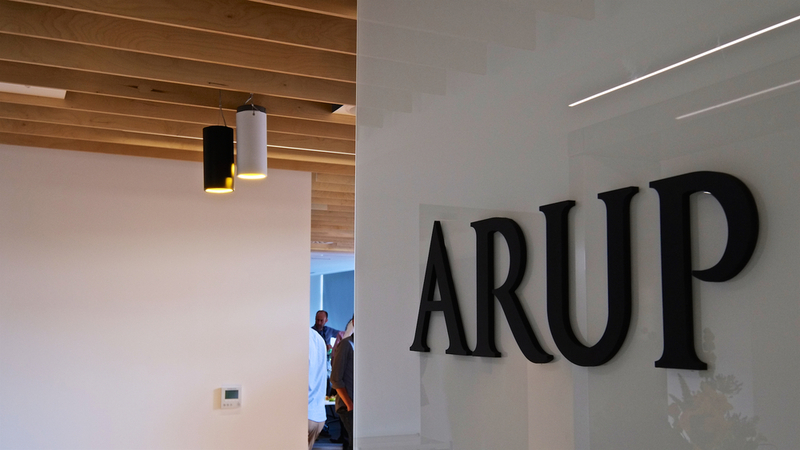 The office features iGuzzini Underscore LED channel built into the ceiling baffles for a very elegant lighting solution.